You have a new Samsung Galaxy Note 9, with all its bells and whistles. So many in fact you have hardly looked at them all. Then at that Friday after work drinks, the one guy Gary, starts to talk about the dual aperture feature, and how he used the F1.5 for darker environments and F2.4 for lighter environments, setting. All of it went over your head, dam it Gary, now you here read this to find out what the dual aperture is and how it works. So, you don’t feel left behind. Fear not my friends this little article with giving you a rundown of what the dual aperture is and how to use it. What is dual aperture and how does it work? Aperture is a strange word, but all it refers to is the size of the opening that lets the light into the camera and on to the internal sensor. This then results in different exposure rates. In darker environments you mostly want more light so you can capture everything in the frame. In lighter environments too, much light can wash out the frame. It is easy to see why this new tool will be useful. 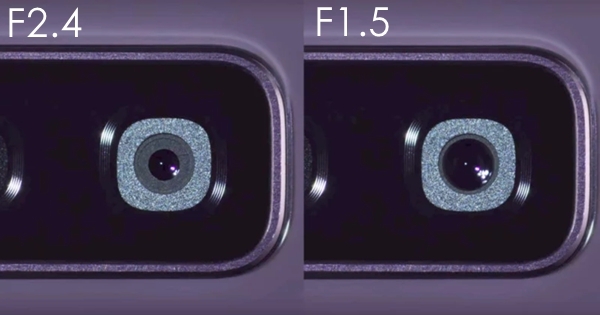 This is important in phone cameras to be able to change the aperture setting, because they have such small sensors, when you compare them to their DSLR rivals. Having the ability to control light intake allows the camera to adjust to a wider variety of setting and gives in theory a better photo. Phone manufactures are looking to take on standard camera providers and offer the all in one package. This has led them to design better lenses and smarter equipment. Let’s be honest we all love that everything we need is all in one device. 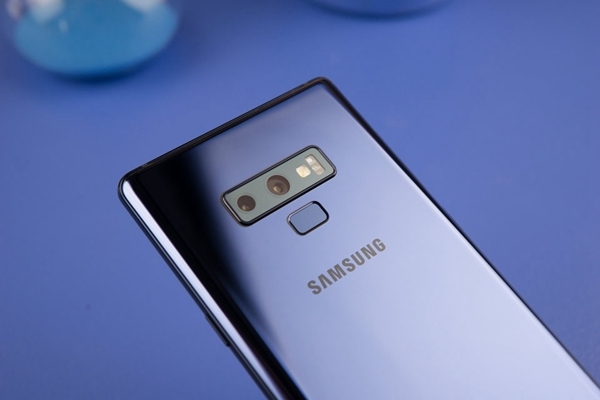 The Note 9 is just the next step in the phone evolution. Whatever the reason, we have these to apertures to play with, and in the next section I will go over how to do that. The aperture on your Samsung Galaxy Note 9 is controlled automatically for you. It will use the on-board sensors to detect light levels and use the bigger or smaller shutter. As with any technology sometimes it can get it wrong. So, the techs at Samsung have added a Pro mode. This mode will allow you to manual change which aperture you use. Step 1: Open the camera app. By taping on the camera icon. At the top you will see the viewfinder menu. Step 2: Swipe across until you get to the Pro mode. This will bring up a row of setting down the bottom of the screen. Step 3: Tap the shutter and aperture speed icon. It should be the second one from the left. It will bring up button on the left that will show the current aperture. Tap the shutter speed button. On the left side of the screen. 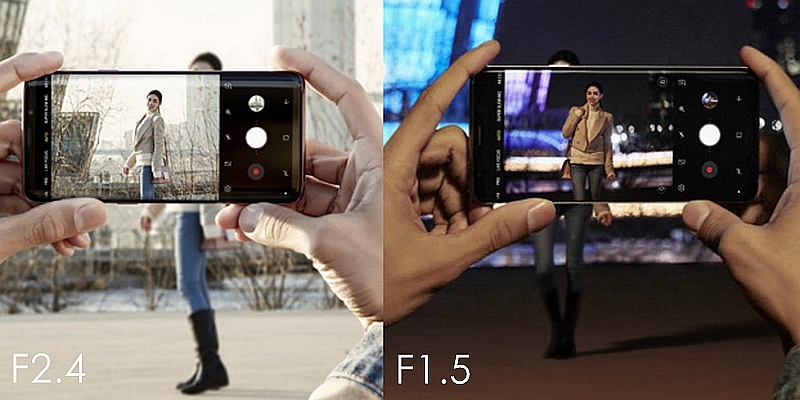 You will be able to change between F1.5 and F2.4, but only those apertures. Ok let’s finish off with some things to keep in mind. 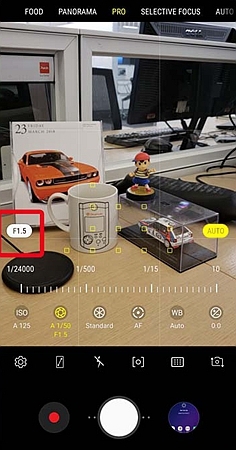 This is new tech for Samsung phones, so the programing is not always going to get it right, you may be forced to set the aperture yourself. See the how-to guild above. The system is designed to be user friendly so have a play with the aperture setting, you might find you get some great shots. When you use the different settings, your camera will focus on either the back ground or the fore ground. 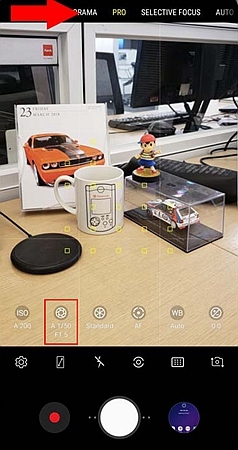 And the last point to remember here is once you go back to auto mode, whatever shutter speed you picked with be lost, and the camera will go back to picking the aperture for you.